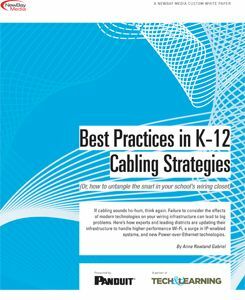 Whether you realize it or not, classroom gear such as Gigabit Wi-Fi, VoIP phones, IP-enabled systems or new Power-over Ethernet technologies are all substantially impacting your wiring infrastructure. Failing to consider the effects of modern digital systems can lead to big problems. Learn what actions experts recommend and what leading districts on both coasts are doing to handle these new demands.